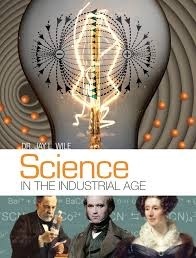 Science in the Industrial Age is the fifth book in a hands-on, multilevel elementary science series that introduces scientific concepts using history as its guide. It covers the scientific advances made from the early 1800s to the early 1900s. Because the course covers science as it was developed, it discusses a wide range of topics including medicine, human physiology, cell biology, evolution, chemistry, geology, electricity, magnetism, heat, light waves, sound waves, radioactivity, and conservation laws. Students learn about the science that was being discovered at the time as well as the lives and personal beliefs of those who were discovering it. As a result, students can see how a person's worldview affects his or her scientific conclusions.